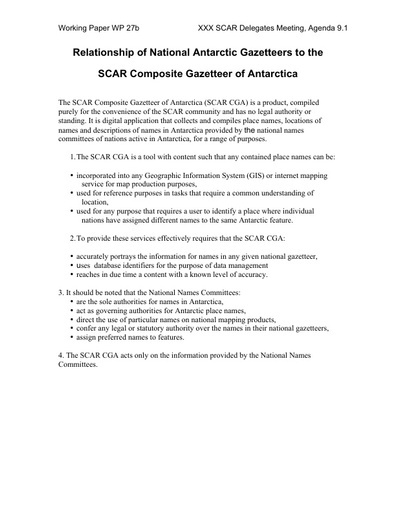 The SCAR Composite Gazetteer of Antarctica (SCAR CGA) is a product, compiled purely for the convenience of the SCAR community and has no legal authority or standing. It is digital application that collects and compiles place names, locations of names and descriptions of names in Antarctica provided by the national names committees of nations active in Antarctica, for a range of purposes. This report notes what the SCAR CGA is and what it can be used for.